Each month we run a Beer Club event which normally take place at Bowland Beer Hall but this month we’re going on tour with a Christmas special! 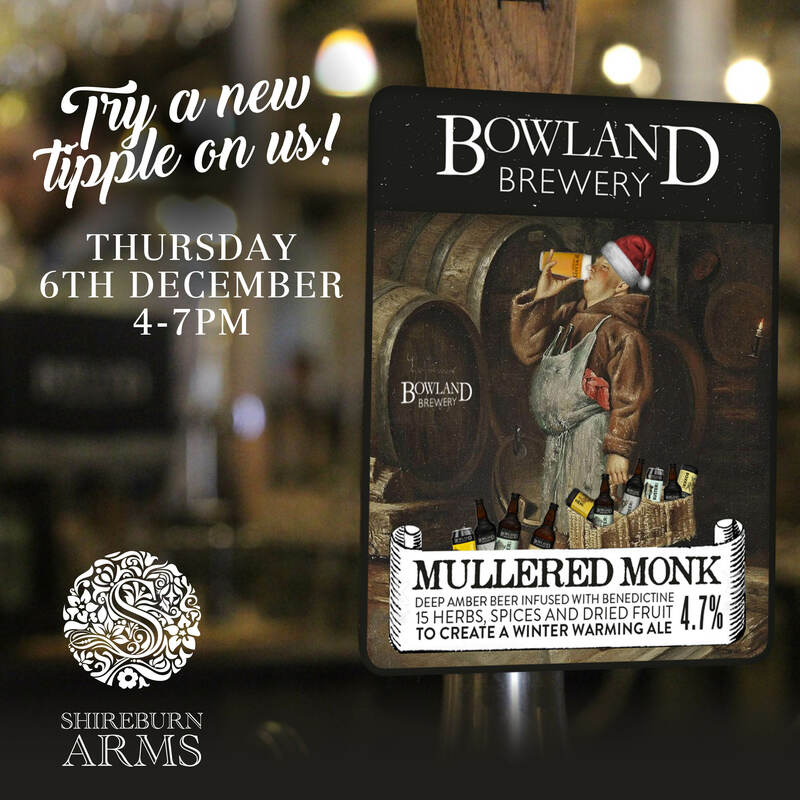 Between 4pm and 7pm representatives from Bowland Brewery will be at the bar in the Shireburn Arms to have a chat and give tasters of their Mullered Monk brew. Mullered Monk is a deep amber ale infused with Bénédictine, 15 spices and dried fruit to create a taste that will give warmth on the coldest of winter nights. Bénédictine is a popular tipple in the Lancashire area due to its strong ties to the region after the soldiers of the East Lancashire Regiment (who were stationed at the birthplace of Bénédictine in Fécamp, Normandy, during WW1) drank Bénédictine and hot water to keep them warm in the trenches. The regiment loved the drink so much they brought it home after the war, and the region has been drinking Béné ever since. For many in Lancashire, the winter months are when Bénédictine comes into its own due to its unique, warm flavour, which Bowland Brewery has brought to life with its winter ale.